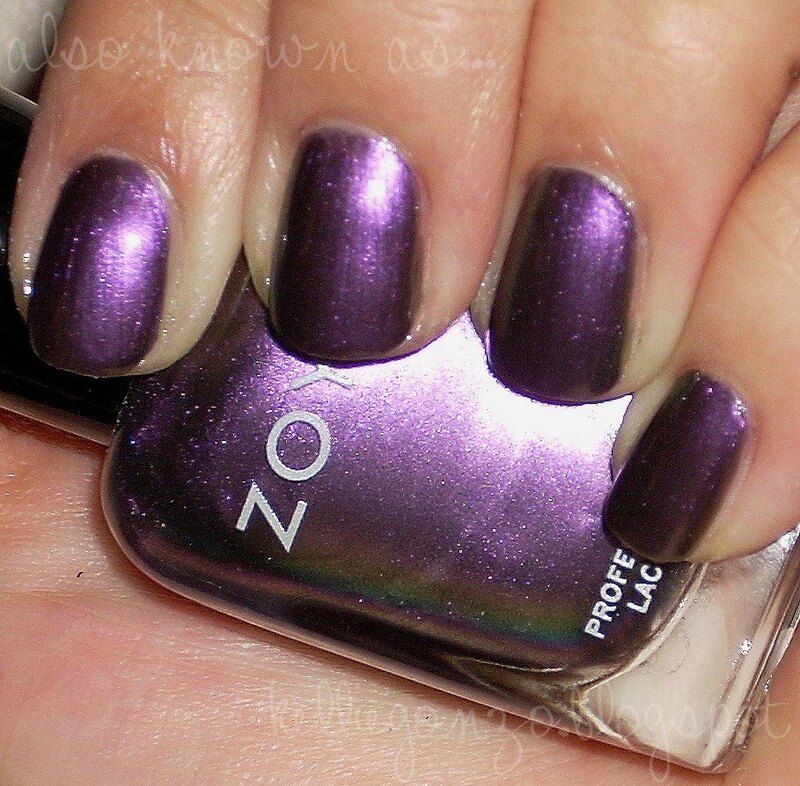 this is a post about zoya's lovely duochrome polish Ki, another gift from lovely reader Amy. one of my biggest lemmings and i'm sooooo glad to have gotten it! unfortunately, these pictures do not do the gorgeous polish justice. these are actually kind of old pics, and i wasn't making sure the duo was showing up in them. so...you don't get to see how spectacular it actually is. but i'm sure if you're really curious you could look up a few other swatches huh haha. 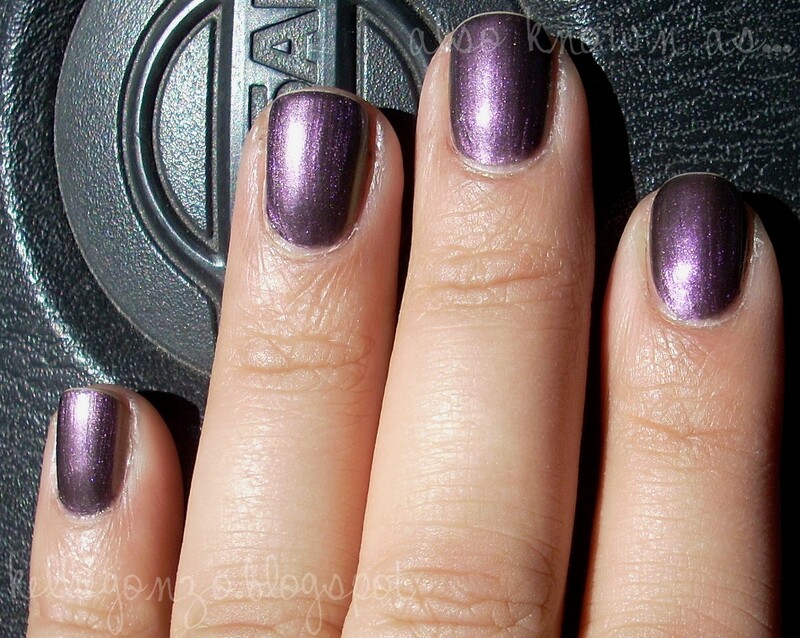 the polish is a deep purple with a gorgeous green duochrome flash. in fact, i'm almost disgusted with my swatches not showing the duochrome sooo much that i'll save you some trouble and link to Beautopia's blog here to show you some proper pictures of this guy. eat your heart out ladies! have a great monday my dears!